Qatzrin is located in the central Golan, 13 km northeast of the Sea of Galilee. 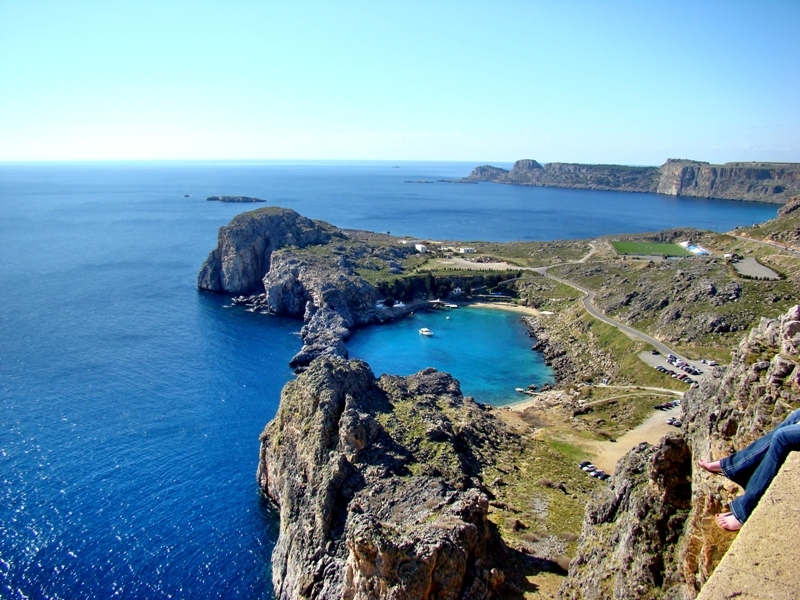 A settlement was here during the Iron Age, as well as the Hellenistic period, but it was during the Roman-Byzantine period that the village grew and became prosperous. Our photo here features the synagogue. Qatzrin Synagogue. Photo ©Leon Mauldin. 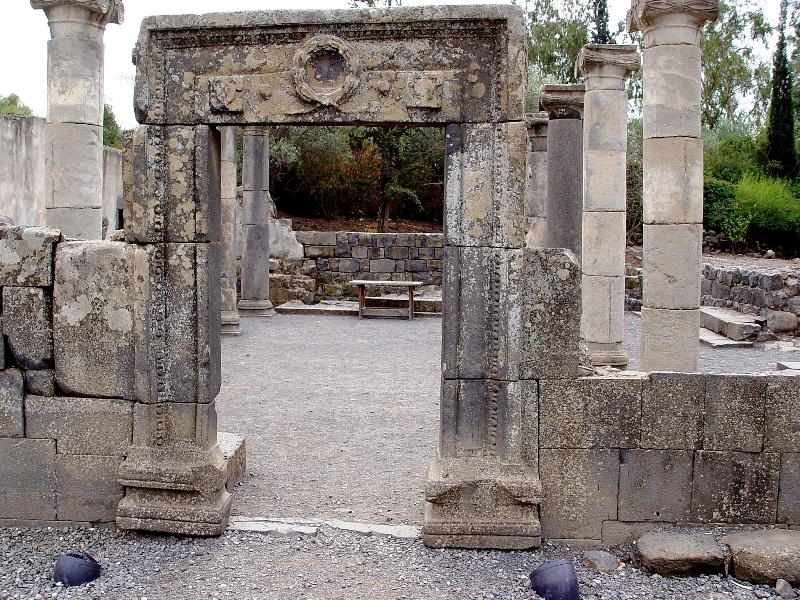 The synagogue, along with most of the village, was destroyed by an earthquake in AD 749. The synagogue was excavated by D. Urman, M. Ben-Ari and S. Barlev, and later by Z. Maoz, R. Hachlili and A. Killebrew, on behalf of the Israel Department of Antiquities. Housetop at Qatzrin. Photo ©Leon Mauldin. The ancient housetop would have been much like today’s patio. That was the setting when God showed Peter that the gospel message of salvation was for Gentiles, and not for Jews only (Acts 10-11). Paul wrote the evangelist Titus in the New Testament letter that bears his name, instructing him to “speak the things that are proper for sound doctrine” (Titus 2:1). That included teaching God’s will for men and women, young and old. Older women were to teach (train, encourage) the younger women “to be self-controlled, pure, working at home, kind, and submissive to their own husbands, that the word of God may not be reviled” (2:5, ESV). I want to notice the word kind. Older Christian women are to teach the younger women to be kind. The Greek word is agathos, often elsewhere rendered “good” (and here in KJV, NKJV), but here is translated “kind” by most (NASB, NIV, NET, NRSV, etc.). Why would kindness be specified as an essential trait for younger women to acquire? There may be many reasons, but perhaps at least one factor was simply the labor intensive lifestyle that characterized home responsibilities. In the Golan, the restoration of Qatzrin gives us a glimpse of daily life in the time of Jesus and the centuries immediately to follow. Qatzrin at Golan. Map by holylandphotos.org. 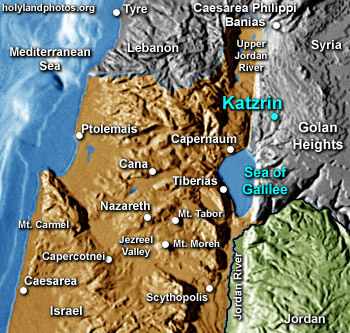 There are variant spellings for Qatzrin, such as Katzrin on this map; also Qasrin. The site is northeast of the Sea of Galilee. This Talmudic Village was occupied during AD 4th-8th centuries. 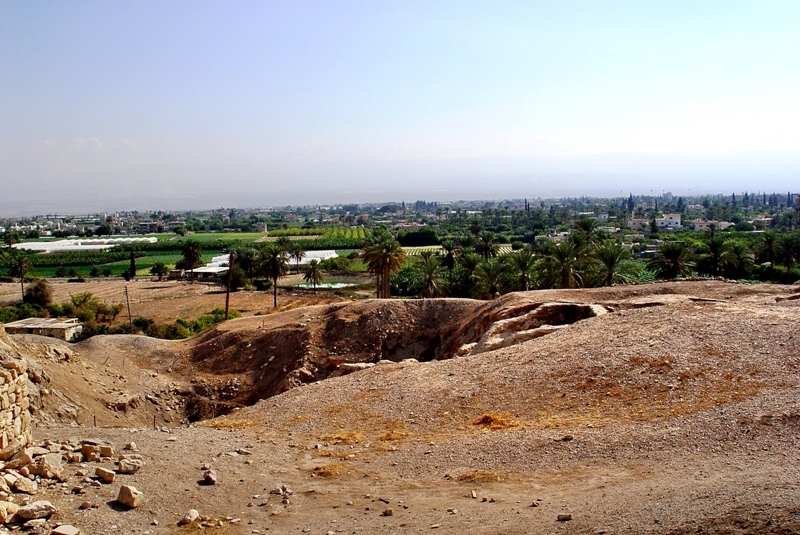 Qatzrin was excavated by Z. Ma’oz and A. Killebrew. 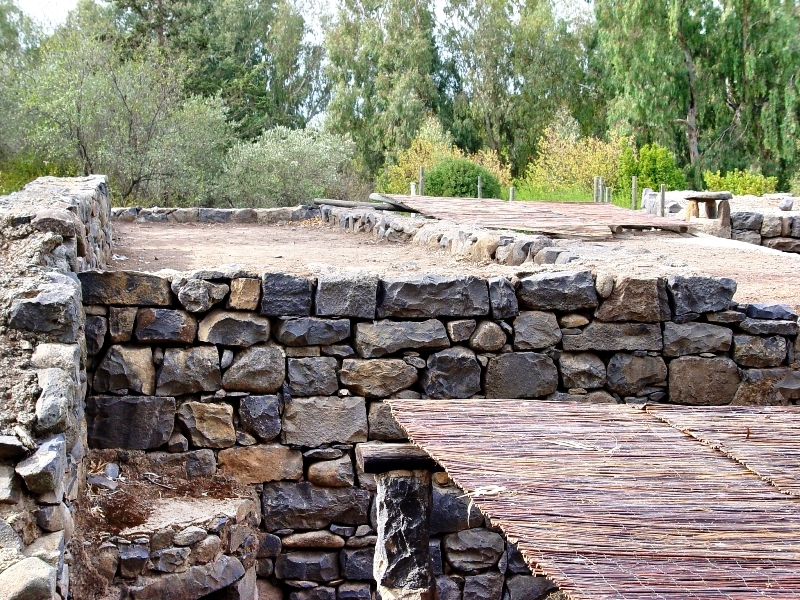 The villiage has been reconstructed and furnished with artifacts from the period. 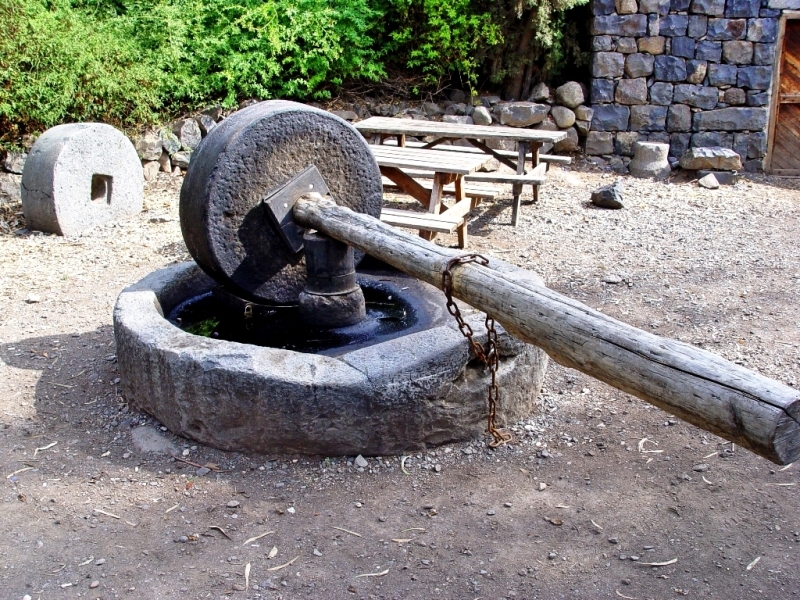 Our photo below shows a basalt olive-crushing mill. A different situation than simply going to the local supermarket and picking up a bottle of olive oil! Basalt olive-crushing mill at Qatzrin. Photo ©Leon Mauldin. Grinding grain for bread had to be done regularly. 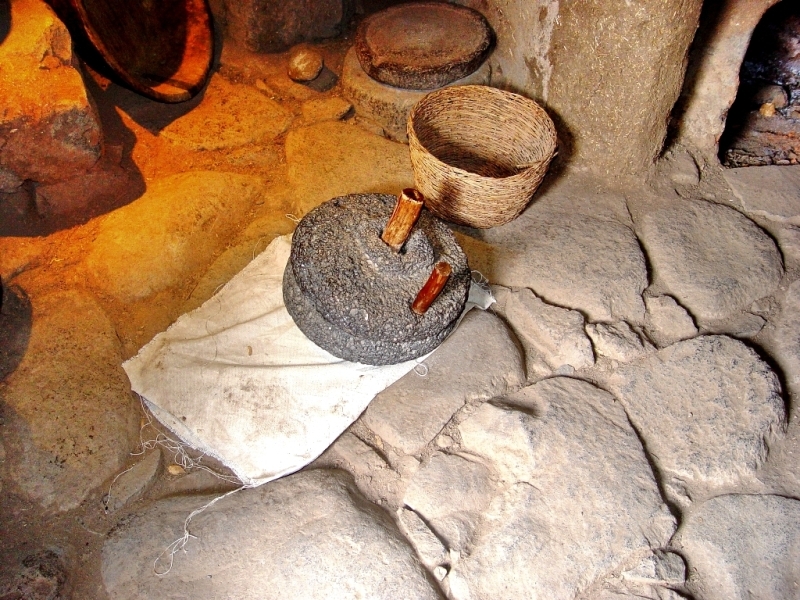 Some millstones had two handles, and were designed for two women (cf. Matt. 24:41). Millstone for two women. Qatzrin. Photo ©Leon Mauldin. Qatzrin features a fully-restored house with all its furnishings. Inside house at Qatzrin. Oven. Photo ©Leon Mauldin. This isn’t exactly what we would call “fast food.” The daily domestic duties would include a lot of hard work! It would be quite conceivable that the cumulative effect would be to make a young mother/wife bitter and resentful. What do you think? I believe the nature of daily life with its responsibilities furnish at least one important reason for Paul’s injunction that older women teach the younger women to be kind. I’m thankful for the kind of work that has been done at Qatzrin which helps take us back to life during biblical times. 8 Now there were in the same country shepherds living out in the fields, keeping watch over their flock by night. 9 And behold, an angel of the Lord stood before them, and the glory of the Lord shone around them, and they were greatly afraid. 10 Then the angel said to them, “Do not be afraid, for behold, I bring you good tidings of great joy which will be to all people. 11 “For there is born to you this day in the city of David a Savior, who is Christ the Lord. 12 “And this will be the sign to you: You will find a Babe wrapped in swaddling cloths, lying in a manger.” 13 And suddenly there was with the angel a multitude of the heavenly host praising God and saying: 14 “Glory to God in the highest, And on earth peace, goodwill toward men!” (2:8-14). What comes to your mind when you read of Jesus’ lying in a manger? 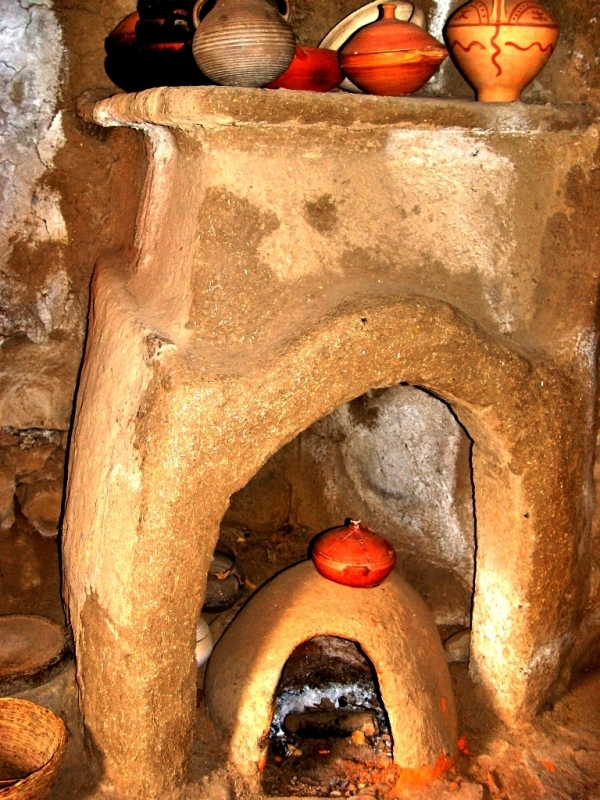 Our photo shows a manger (located in Caesarea Maritima) which illustrates that which served as a bassinet for Jesus as an infant. 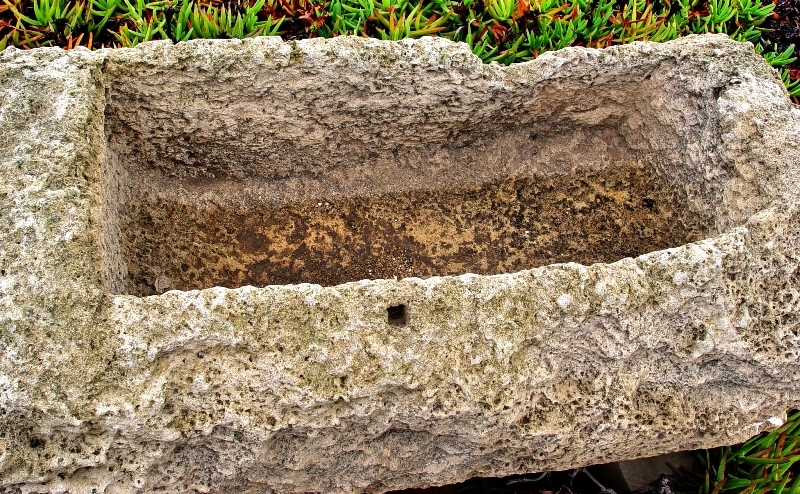 Manger (Caesarea Maritima). Photo ©Leon Mauldin. I never cease to be amazed at the thought! Eternal Deity, Eternal God, the Word became flesh (John 1:14). The One who created all things (John 1:1-3) came to earth, and a feeding trough was His bassinet! Jesus always was and always is divine, but He became human, He became flesh, that He might die for our sins (Heb. 2:14-15; 1 Pet. 2:24). 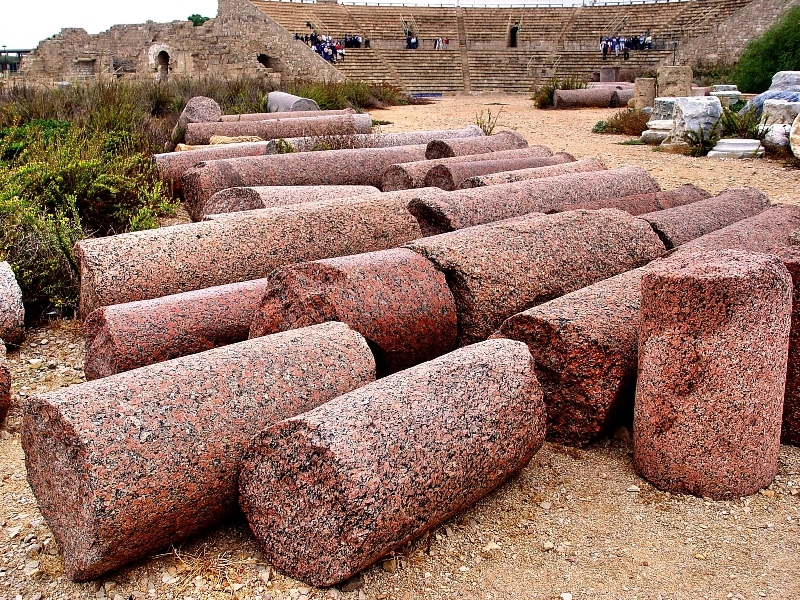 On another note, while one is visiting Caesarea on the coast, you can see the ruins of Roman columns. Roman Columns at Caesarea. Imported from Aswan Egypt. Photo ©Leon Mauldin. Those in our photo are pink granite. 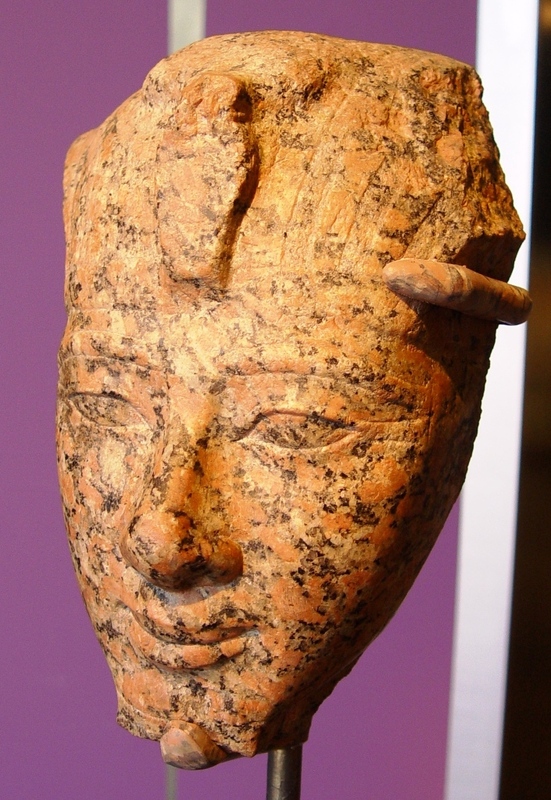 These were not quarried locally, but were imported from Aswan Egypt. This reflects that because Caesarea was the Roman capital of Israel, there was sufficient wealth and resources to acquires such materials. In the background of photo you can see the theater. Remember to click on images for higher resolution. Obituary. Our friend bro. Dave Bradford passed away this past Thursday. He had served as evangelist for the church of Christ at Auburn 27 years (during part of which time he also served as elder), but for the past 6+ years had been located in Cullman AL. On numerous occasions we did radio programs together. I always enjoyed the association. He had been plagued with failing health for the past several years. Funeral services were conducted Saturday at Hoover, AL, with Bill Simmons, as well as Tom Holley, Perry Hurst and John Christian speaking. Singing was led by Doyle Bullard. Schedule. I’m looking forward to being at Salem, IL., beginning this Sunday, for a 6-day series which will include my “Steps of Paul” series plus other lessons. Such speaking opportunities provide occasions for usage of Bible lands photos, and reinforce the historicity of the biblical record. 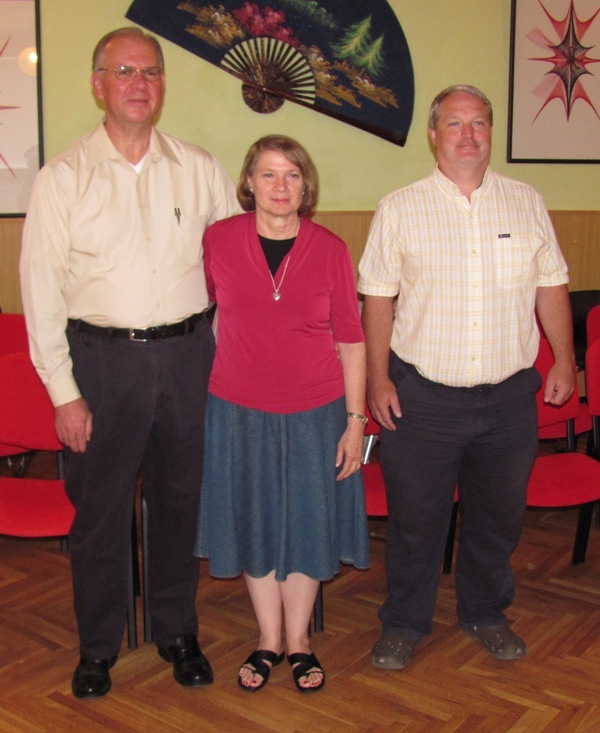 The lectures at Kamenice were well attended and enjoyable in every way. It is wonderful to see folks we’ve known for many years, and also to meet new brethren. My wife and I were both tired last night (actually we still are today), but it’s a good kind of tired. 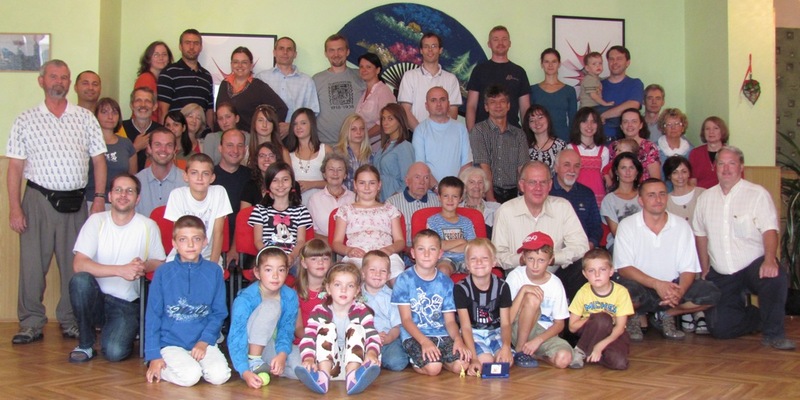 As I mentioned on my previous post, families and individuals traveled in some cases great distances, plus there were folks from various places in the Czech Republic. See group photo below: (Click on image for larger view). I was speaking each morning, and Bill Bynum each evening. We also conducted a 2 hr Q&A session each afternoon. Photo below shows Bill (on right), and my wife Linda and me. Leon & Linda Mauldin, and Bill Bynum. 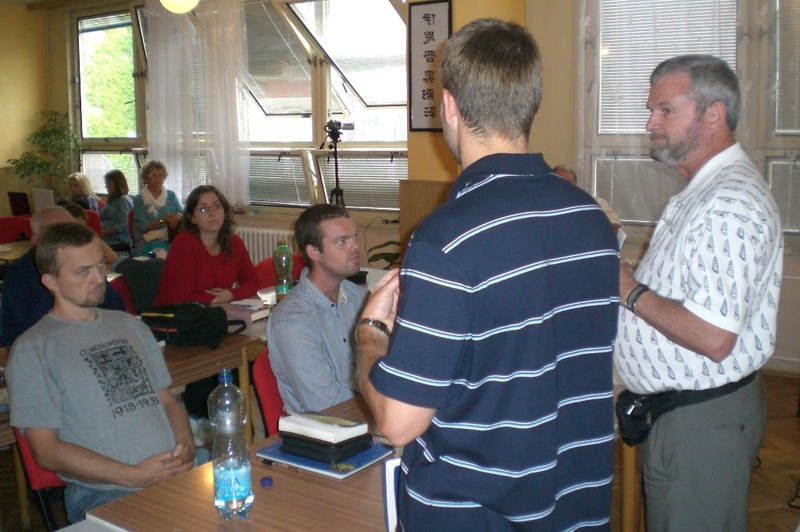 Kamenice Lectureship 2010. As I surveyed the Old Testament, I began by giving the setting of the biblical world. We talked about the amazing variety of the land of Israel. At Joppa you are at sea level; at Jerusalem 35 miles inland you are 2500+ feet above sea level, and another 14 miles NE at Jericho you are 800 feet below sea level! 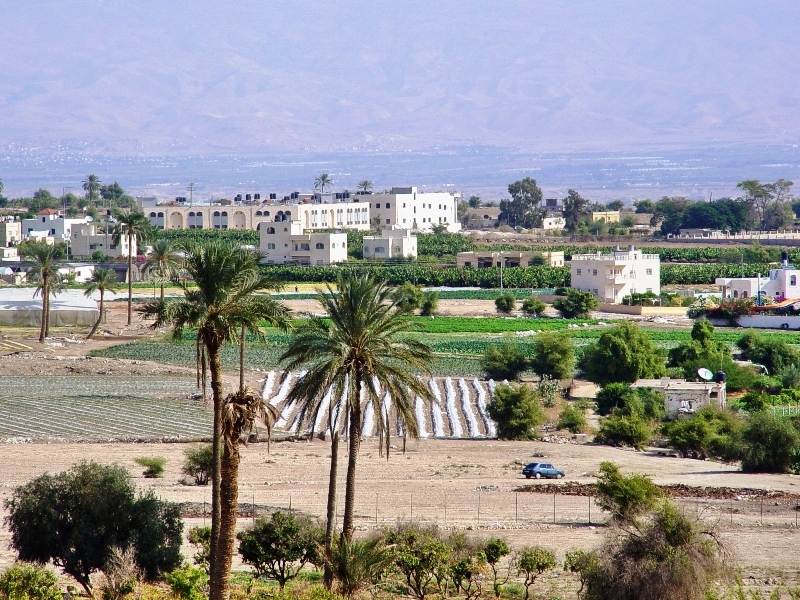 Jericho, biblical "city of palm trees." 800 feet below sea level. Photo ©Leon Mauldin. In the distance you can see across the Jordan the hill country of Moab. This was the home of Ruth, who was the great-grandmother of David (Ruth 4:18ff). Here’s another shot of Jericho. In the foreground you see a portion of the ancient tel. This was the first city taken by Joshua and the men of Israel after crossing the Jordan for the conquest of Canaan (see Joshua 6). Because it was a kind of “first-fruits” of the land, the city was devoted to the Lord, instead of the spoils being divided up among the men of war. OT Jericho. Ancient tel in foreground. Photo ©Leon Mauldin. Today it has rained all day. This morning, Mira, a friend and brother from Ceske Budejovice, arrived at Kamenice and drove my wife and me to Ceske Budejovice. I am to preach here in the morning at worship services, and then spend some time visiting Mira and his good family on Mon. This is my fourth trip to the Czech Republic. 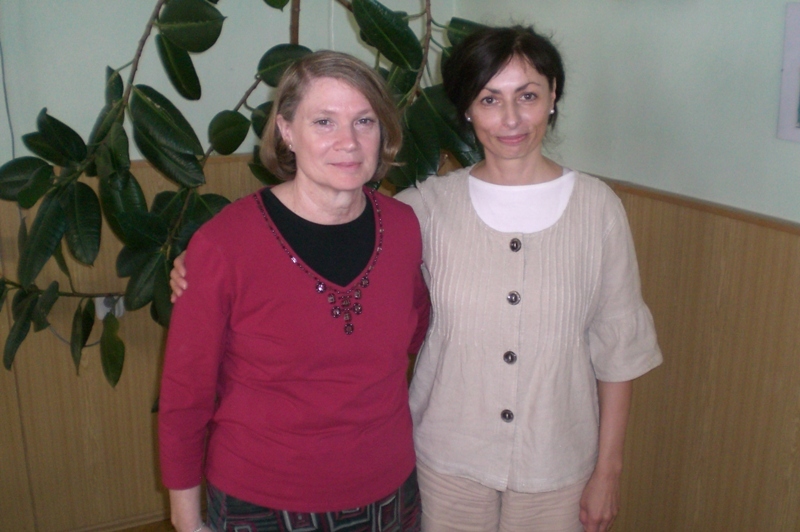 I met Mira back in 1992 on that first trip. It is a joy to see him again. 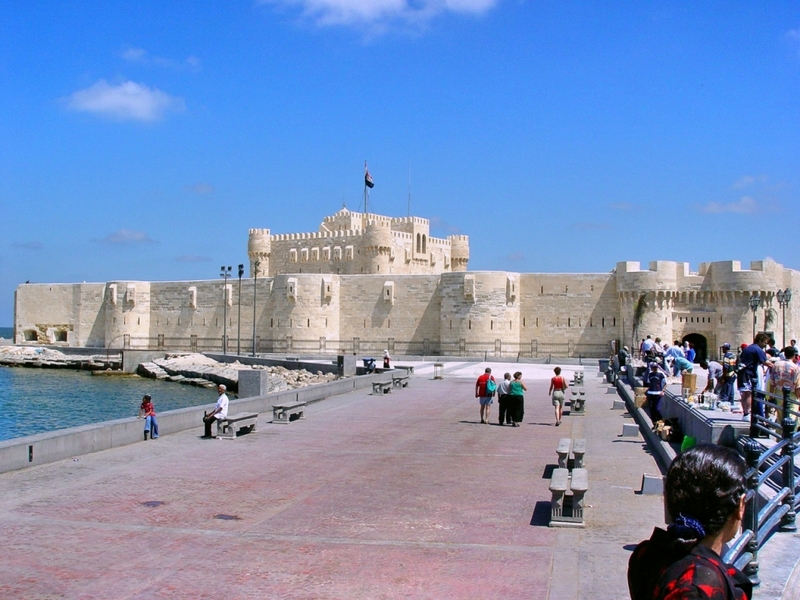 This city has an ancient history, dating back to the 12 century. This is Linda’s first opportunity to travel here; I’ve wanted her for a long time to see a place which has been very special to me. You are currently browsing the Leon's Message Board blog archives for August, 2010.